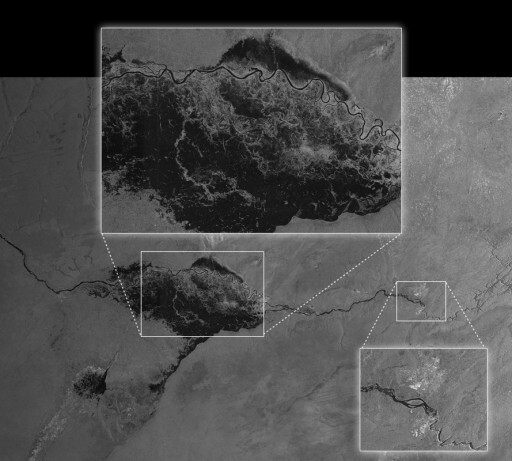 The newly launched Sentinel-1A satellite has returned the first images acquired with its high-fidelity radar system. 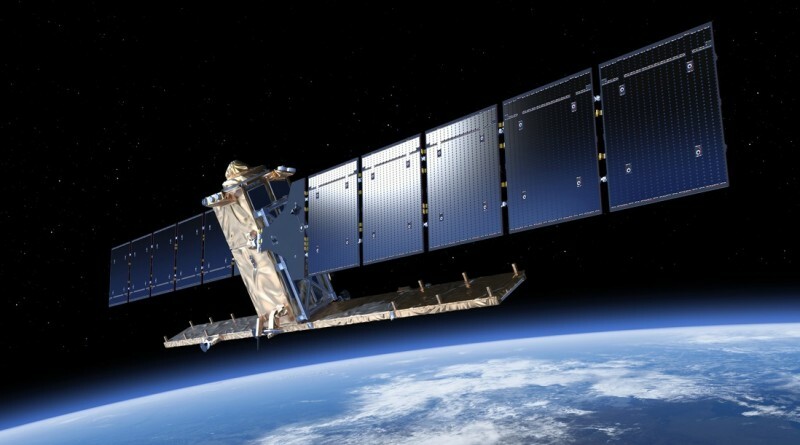 Sentinel-1A is making good progress in its commissioning phase that will prepare the satellite for regular acquisition of high-resolution and calibrated radar images for release through the European Commission’s Copernicus program. Following a close call in the first night of the mission that featured an unprecedented Debris Avoidance Maneuver (a story told here by the mission team), Sentinel-1A continued its early operations with flying colors – being awarded a clean bill of health and beginning to collect radar images of chosen targets on Earth. The first images from Sentinel-1A were released on Wednesday, showing Brussels, Belgium. The imagery was acquired on April 12 just one day after the satellite transitioned to its Earth-pointing attitude. The images impressively demonstrate the satellite’s capabilities, however, they are not yet calibrated to return true high-quality data and Sentinel-1A has not yet achieved its operational orbit. Over the next 2.5 months, calibrations will be completed and Sentinel-1A will perform multiple maneuvers to achieve its precise working orbit that will be accurately maintained throughout the mission. “We are in very early days of the satellite’s life in orbit and ground segment operations, but these images certainly demonstrate the caliber of data this advanced radar mission will bring from its different imaging modes, and how it will provide essential data for Copernicus services to benefit us all,” said Volker Liebig, Director of ESA’s Earth Observation Programs. Acquired in stripmap mode, the image of Brussels was taken as part of an 80-Kilometer swath showing the urban environment of Brussels in bright colors, the city of Antwerp in red-blue and the vegetation surrounding the cities in green. Low-reflective areas and waterways are black. Images like this will be used for urban planning, environmental monitoring and resource management once calibrated data is available. Other images that were released on Wednesday show flooding of the Zambezi river in Namibia. This served as a rehearsal for future imaging of sites of natural disaster which will be routinely performed by the satellite to provide timely images for disaster management within three hours of acquisition. The images of Namibia were available within one hour of reception on the ground. They also showcase Sentinel-1A’s capability of all-weather imaging since the area was hidden under a thick cloud cover on April 13 when the images were taken. Another image that was part of the release shows the Pine Island Glacier in Antarctica. 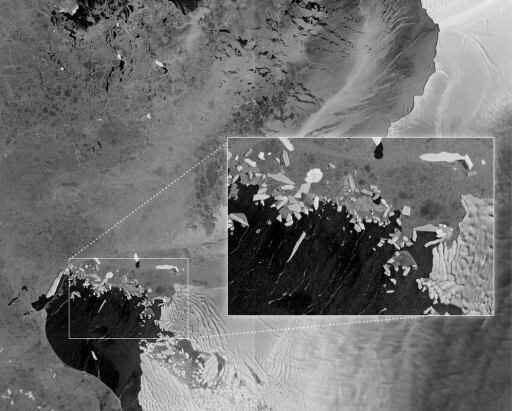 Providing radar images of glaciers at regular intervals, Sentinel-1A will help scientists assess the loss of ice from glaciers and the evolution of glacier retreat over time. Additionally, imagery of sea-ice will help navigation through the arctic waters by identifying first-year ice and showing thicker multilayer ice. Although Sentinel-1A has begun transmitting radar data, the commissioning phase will continue for several more weeks as Sentinel-1A is set for an extensive calibration campaign over the next three months using internal calibration utilizing internally generated calibrated signal sources to track the performance of the radar and external calibration that uses ground targets of known properties to provide an end-to-end calibration of the system.